A family man, Harcourts business owner, past Chairman of the Rodney Local Board and keen sportsman, Bob has that rare ability to balance all his commitments and never short change anyone. He is committed to the people who matter the most – his family, his clients and his community. 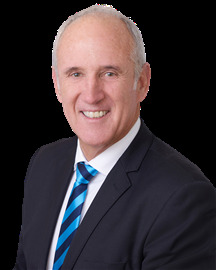 Having lived in Kumeu for over 28 years, Bob has extensive knowledge of the area, an appreciation for what the North West district has to offer and a thorough understanding of the benefits that come with owning real estate in this area. Bob has been involved with the real estate industry since 1973. You won’t find anyone else with the experience, extent of knowledge and understanding of real estate inside out with particular expertise in sub division developments and selling down once complete. He has certainly earned his stripes. And as a consequence, provides nothing but exceptional service from start to finish, constantly going above and beyond for his clients. His knowledge of innovative, trend-setting strategies coupled with his ability to remain up-with-the-play across all market conditions, particularly as past Chairman of the Rodney Local Board, puts Bob head and shoulders above the rest in the local real estate market. Add this to his natural enthusiasm, superb communication skills and quality service and you have “the winning formula”. Bob says honesty and forthrightness are vitally important to him personally and his clients would not disagree. “I tell it like it is – with me you get the facts and nothing else”. If you are looking for determination, experience, dedication and drive – then Bob Howard is the right choice. Leigh is a vital part of the Kumeu Team and its most likely her that will greet you in a friendly and professional manner when you call the office. Always willing to help, Leigh's role in the running of the office is pivotal. Experience, Integrity & Community. Team work is more than just a phrase to Stephen and Debbie, it’s how they live their lives. Being a driving force behind their local Harcourts office, the aptly named Loyal Realty office, continues to be an example of Real Estate excellence and is recognised nationally for its success. Following an injury whilst a Station Officer in the Fire Service at City Station, Auckland, Stephen joined Real Estate in 1988 where he quickly assumed management roles but never lost his desire for service. Responsible for training and mentoring many highly successful sales people and twice taking his office to #1 in New Zealand, Stephen along with Debbie and now including their son, Austin have time to dedicate themselves to selling once again. Stephen is without question the most experienced Auctioneer in the area and has a reputation for achieving outstanding results often with record sales prices. Having lived all her life in the district Debbie’s banking background and local knowledge are also useful attributes when it comes to making Real Estate decisions. Heavily involved in the local community over many years Stephen is a multiple past President of the Waimauku Lions Club, a Melvin Jones Fellow and a recent nominee for New Zealander of the Year. Proud parents to 4 adult children Stephen & Debbie live on a lifestyle property and are well known for their motorcycling exploits especially in the USA. Along with fellow business owner Bob Howard and the experienced, diverse and long serving team backed by Harcourts Local, National and Global reach the Kumeu Office is held in high regard by Clients, Colleagues and the Community. Stephen and Debbie’s passion and commitment for Real Estate and the area they live in is well known and entrusting Real Estate decisions to them will give you, whether buying or selling, the benefit of their experience and integrity. ANDREA grew up on a 2,400 acre hill-country sheep farm in Wanganui. A typical day’s work would see her up at six in the morning to head off on horse-back, not returning until dark. Leaving the farm to explore employment opportunities, Andrea’s first job was personal assistant to Chas Poynter, Mayor of Wanganui. In 1989 she left New Zealand to travel the world, eventually settling in London where she worked in the corporate world, specialising in international shipping insurance. She met her husband there, and in 1995 they moved to New Zealand where she worked for PriceWaterhousCoopers. In 2003 she joined Harcourts in Kumeu as a Sales and Marketing Consultant. 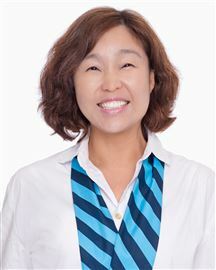 She has consistently achieved excellent sales results and built up a strong reputation in the local community for her honesty, perseverance and professionalism. She believes that the values she learnt from her rural upbringing, together with her corporate experience and world travel, have contributed to make her ideally suited to working in the fast moving pace of real estate. Andrea lives with her family in Kumeu. Debbie Young is recognized as one of New Zealand’s leading Real Estate Agents and has been ranked at the top of her field on a National basis across the Harcourts group. 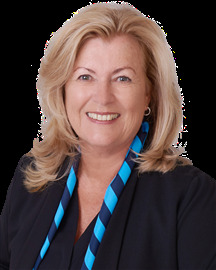 With a passion for property, and genuine understanding of her client’s property/ lifestyle goals, together with an unmatched work ethic, Debbie Young has a highly respected reputation for results and professionalism in her industry and the community. Debbie is prepared to take the additional actions necessary to ensure client satisfaction and to deliver service levels that exceed even the most demanding expectations. Debbie thinks outside the square and prides herself in being able to individually personalize marketing strategies to best achieve her client’s property and lifestyle goals. Listening to and understanding her client’s needs are a pivotal foundation for working together to achieving client satisfaction and great results. An honest individual with enormous amounts of experience in the Real Estate Industry. Debbie can be of great benefit to you in any Real Estate decision. Grace and her family have been in NZ for over 20 years. A successful businesswomen in her own right Grace and her husband David have been very active in the community and love the people, opportunities and beautiful scenery of the North West. 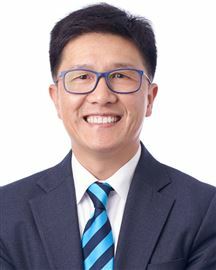 David is a past president of the Korean Society and during that time was involved in building relationships with the local MP and former Prime Minister and forging ties with local New Zealanders and the Korean Community. Still today both remain involved with community work. Passionate, knowledgeable and very determined Grace prides herself on listening to each client she works with. Proud to be working with NZ's most Trusted Real Estate Brand, Harcourts, contact Grace for all Real Estate needs. #1 Sales team in Harcourts Kumeu 2016~2018 Top 25 in Harcourts 2017/2018 National Top Exclusive Lister 2016~2018 Harcourts Kumeu Team Jerry & James specialises in the Huapai new subdivisions and is one of Harcourt’s most successful residential Sales team. They are committed to serving their clients with honesty, integrity and are results focused. Providing exceptional service to their clients is their No.1 priority. With their attention to detail and understanding of the buying and selling process their goal is to be a life time resource to their clients and to be people that can always be counted on. Jason is passionate about providing the best service to his clients. As a Licensed Real Estate Salesperson, he leaves no door unknocked when finding the right buyer for a property ensuring a smooth and efficient transaction. 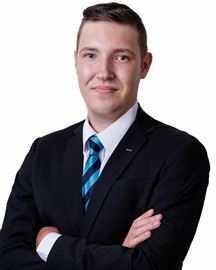 If you are thinking of selling your property, Jason would love to assist by giving you a free market appraisal and offering advice on how to best prepare your property for sale. He prides himself on making the process smooth, provides exceptional service and his reward is achieving the best outcomes for all parties. Jason has a medicine degree, and has attended numerous Leadership, Sales, Marketing, and Management courses. Since 1989, he has worked as a doctor, an automobile technician, ran a leather store for 5 years on Queen Street and Customs Street, and has set up a lighting manufacturing company in Shanghai 10 years ago. He has lived on a lifestyle property for the last 10 years. Because of his entrepreneurial attitude and experience, Jason believes he has an advantage especially, dealing with lifestyle properties. A team dedicated to success - with a "no nonsense" approach. The Katherine Binning team is dedicated to exceeding your expectations whether through our extensive and current local knowledge, or our ability to accurately gauge the market. We recognise potential and present each property to its greatest advantage, through to the expertly negotiated final deal - your sale. A winning team - don't just take our word for it: * Number One Sales Consultant for Hobsonville Realty Ltd 2009-13 * Number Twenty Sales Consultant for Harcourt’s Northern Region 2009-11 * Top 100 Nationally 2009-2013 * Platinum Sales - awarded to the top 1% of Sales Consultants in Harcourt’s Nationally. * Top Exclusive Lister for Hobsonville Realty Ltd 2009-11 * Over 32 years sales experience. Our philosophy is that it's all about the people and the personal touches - the repeat business we receive is proof that we have this right. Your property, be it your family home, an apartment or a rental investment, is probably one of the biggest assets you will ever own. Buying or selling that asset is likely to be one of the largest financial transactions you make in your lifetime. It is essential you be completely confident in the professional people that you select to work with. And that's where we come in - by offering you the opportunity to work with one of the top sales and marketing specialists in your area. Engage a top performer - you won't be disappointed! Ron Nolan brings to Real Estate a refreshing passion for the North-West. It is Ron’s drive to help clients succeed in their pursuit of a Sale, which makes him such a good Agent. Ron has been a trusted resident of the Riverhead Kumeu area since 1978, with his wife Joanna and 4 children, Antoinette, Paul, Charlotte, and Ash. He is actively involved in the Huapai Golf Club, and has been involved with the local Athletic, Rugby, Soccer, and Netball Clubs His strengths include extensive local knowledge with excellent customer service, along with dedication and enthusiasm, from over 30 years of managing his own companies. Ron’s has a natural aptitude for working with people, and with his business acumen, that helps get the results that are important, and means the decision to entrust Ron with your Real Estate needs is one you will be pleased you made. Long time Muriwai Beach resident, Trish is passionate about Muriwai and her success reflects her professional and caring personality and her involvement in the local community. Beach house - Family hideaway. Forever Home on 852m2 Section! Try And Beat This Value! New Build! & 1003m2 section! High Spec. and priced to Sell. You could be in to win? Taupaki - Home, Land and More. New Build! Move in Today! Large Section & Brand new! How can you resist looking? Westgate - As good as gold! Brand New High Spec in Huapai! Country life in the suburbs.